Desde hace varios años hemos estado trabajando la junta parroquial y líderes de nuestra Iglesia de San Andrés en desarrollar un proyecto que nos permita tener nuevos programas, actividades y servicios destinados a nuestra congregación y de igual manera para la comunidad de Sunset Park donde radicamos; y que al mismo tiempo provea a la Iglesia de fondos para el desarrollo de nuestra misión. Para llevar a cabo esta empresa hemos pensado en dar uso del espacio con que contamos: el edificio y el área del jardín de la Iglesia. Finalmente, desde el inicio de este año 2016 hemos estado trabajando con el Rev Andrew Durbidge, Real State Manager de nuestra Diocesis para dar forma a este proyecto, hemos tenido muchísima reuniones, hemos hablado en cada Junta Parroquial, hemos también compartido toda esta información con nuestro Obispo Lawrence Provenzano, Canon John Betit, también con otros clérigos de la Diócesis y de manera muy especial hemos estado hablando con los miembros de la congregación acerca de la necesidad de llevar adelante este proyecto. El pasado Miércoles Julio 13 tuvimos una reunión en nuestra Iglesia con Fr. Andrew Durbidge y el Arquitecto Doug Houstoun, quienes nos presentaron tres propuestas muy interesantes y realizables con el fin de desarrollar este proyecto. Ahora nos queda un tiempo de reflexión por parte de toda la congregación y es nuestro deseo de involucrar a la comunidad con el fin de tomar la mejor decisión. Pedimos sus oraciones y damos gracias a Dios por todo lo que esta congregación de San Andrés ha hecho y puede hacer en un futuro. 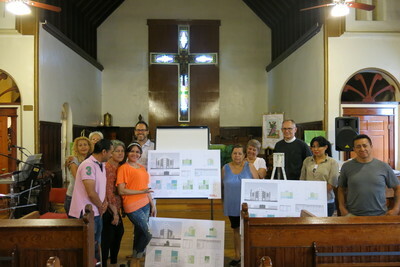 For several years the vestry and other leaders of our Church of San Andres have been developing a project that allows us to have new programs, activities and services for our congregation and likewise also for the community of Sunset Park, which our parish serves. At the same time we hope this new project will provide the church with funds for the further development of our overall mission and ministry. 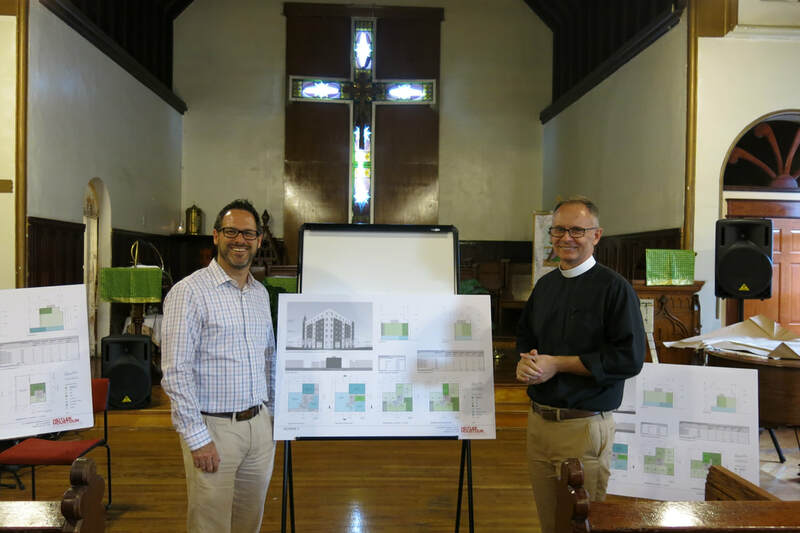 This project is focused on developing and enhancing the space and property that we have: the church building and the garden area adjacent to the church. Since the beginning of this year, 2016, we have been working with the Rev. Andrew Durbidge, the Real State Manager of our diocese, to shape this project. We have had a lot of meetings, we discuss the project at each Vestry meeting and we have also shared our project information and plans with our Bishop, Lawrence Provenzano, Canon John Betit and also with clergy colleagues of the diocese. And, of course we have made very special efforts to discuss the need and potential for the project with members of the congregation. On Wednesday July 13 we had a meeting with Fr. 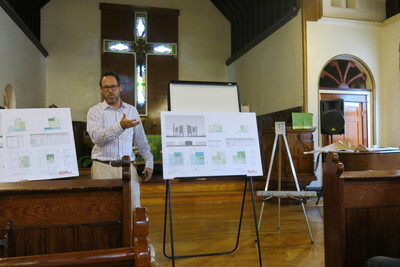 Andrew Durbidge and architect Doug Houstoun, who presented us with three very interesting and feasible project development proposals. We will now provide time for reflection of this project by the whole congregation. It is also our desire to involve members and leaders from the community in order for us to make the best decision. We ask for your prayers and we thank God for all that this congregation of St. Andrew has done and can do in the future.